There’s nothing more soothing, or more inviting than bathing outdoors beneath a velvety black sky studded with twinkling stars. And we don’t mean in a pool or a spa. 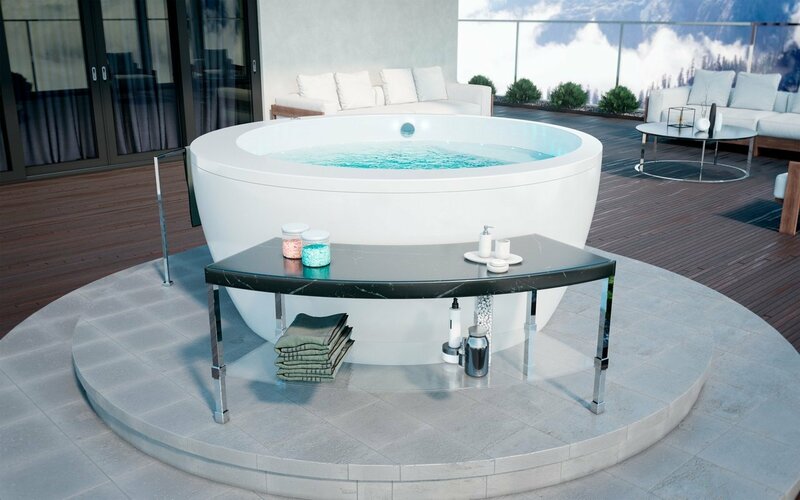 No, Aquatica has taken its stunning ‘Pamela’ freestanding circular bath and adapted it specifically for use in open air locations such as terraces, balconies, gazebos, yachts and more. Crafted from Lucite Spa-graded cast acrylic designed for outdoor conditions, this lovely tub combines a range of exterior durability features such as high UV performance combined with an all-weather heating system which can work equally well in the harsh North European and Canadian winters even at sub-freezing temperatures or the desert heat. Likewise, it happily copes with extreme variations in temperature between day and night. And because it is a bath, not a spa, which you empty after each use, there are no chemicals or filters, just soap and other pleasurable bathtub additives. 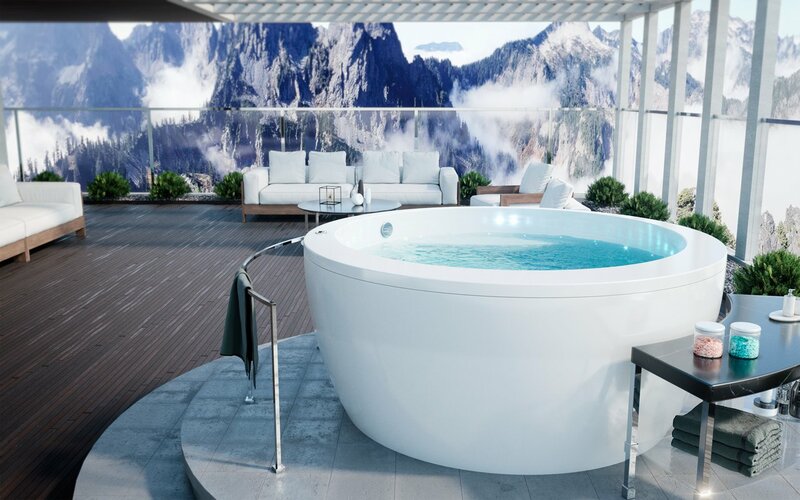 The generous dimensions of this circular tub add to the pleasure of deep, full-body soaking in the crisp, clean outdoor air amidst the sounds and sights of nature. One of Aquatica’s deepest tubs it is ideal for one or two bathers. The easy to use, intuitive controls and hand shower complete this picture of blissful sanctuary, in the great outdoors. A lovely circular bath that is generous in proportion all round, Pamela gently widens from its 43.75” (111 cm) interior bottom to its 58.25” (148 cm) top. Not only is this bath spacious in dimensions, it is also one of our deepest bathtubs at 20.5” (52 cm), for maximum soaking pleasure equally suited to sharing or self-indulgent pampering. The subtly curving walls reflect our focus on ergonomic engineering to best fit the human form.